Drought is a natural phenomenon that escalates gradually to severely impact lives, livelihoods and ecosystems. 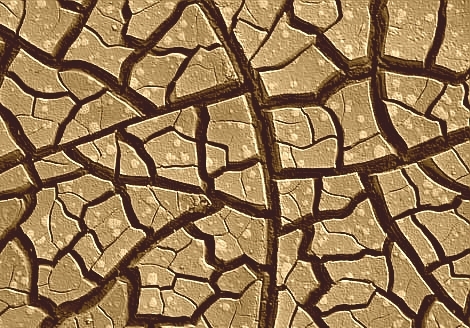 Drought characteristics may vary from region to region and impact varies depending on the vulnerability level of the population. Global studies conducted from 1980-2008 reveal drought disasters to have caused a total of 558,565 deaths, affected 53,498,452 people annually, and cost 2,653,431(units) in economic losses per year (OFDA/CRED International Disaster Database). The timely forecasting of drought and effective risk assessment enables vulnerable communities to prepare mitigation strategies, thus limiting the extent of losses. At RIMES, a drought early warning system (DEWS) is being adapted to identify climate and water supply trends in order to detect the probability and potential severity of drought. The process involves trend mapping that can reveals underlying causes of vulnerability. An example of where the maps can be useful is in identifying areas with poor water management strategies and irrigation practices. This information, if delivered to decision makers in a timely and appropriate format, can reduce the impact of droughts given that mitigation actions and preparedness plans are in place. More information on RIMES drought related services will be available in the future.